BestCode - Print direct to food products USDA, FDA approved compliant inks. Print Direct to Food Products. USDA/FDA Approved and Compliant Inks. 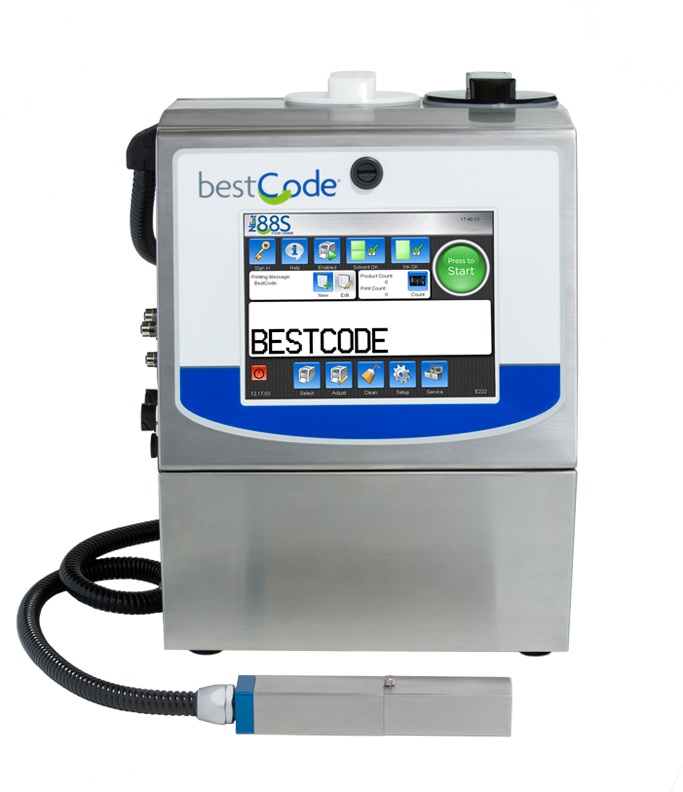 The BestCode Model 88S Food Grade is targeted at printing direct to food products such as eggs, cookies, baked goods and many other substrates that are for human consumption. Print 1, 2, 3, 4 or 5 lines of text or graphics. USDA and FDA approved/compliant inks are available in red, blue or green color. Systems are simplified to allow anyone to operate, minimizing operator touches, extending time between human interaction.